The purpose of this document is to 1) provide an overview of the current situation in the Bahamas with regards to energy consumption and production; 2) relay initiatives that are currently being undertaken to be more energy efficient; 3) summarise the pros and cons of alternative energy proposals for The Bahamas; and 4) propose strategies that will help to put us on the path to an energy secure Bahamas by reducing the energy load in The Country. Our environment is our most important natural resource. The environment of The Bahamas has been responsible for developing a global financial services industry and a sustainable cadre of second home owners. The dominant revenue generating source of The Bahamas is tourism. Accordingly, The Bahamas must develop an energy plan based upon clean energy that capitalises on our abundant natural resources (wind, water, sun and recyclable waste). The benefits of clean energy will be enduring and invaluable in terms of preserving our most precious natural resource, the environment, reducing our exposure to volatile energy prices, and simultaneously benefiting our foreign exchange reserves. The Bahamas is one of the few sovereign nations to be nearly 100% dependant on fossil fuel. A measure of dependence is greenhouse gas emissions. In the Caribbean, only the Dominican Republic and Jamaica emit more greenhouse gas than The Bahamas. The National Electricity Utility, BEC, produces electricity with diesel and gas turbine generators. BEC has an installed national capacity of 436 megawatts. Throughout The Bahamas, there are a few successful renewable energy projects, but none to date that are capable of serving more than their local community. The price of oil peaked at $146.14 per barrel on July 14, 2008. The 66% increase in the oil price during 2008, which was not related to supply shortages, caused many countries to look for renewable energy solutions. Since hitting a low of $43.53 per barrel on February 18, 2009, the price of oil per barrel has been increasing on a virtual roller-coaster. The volatility has been exacerbated by strife and tensions in Egypt, Libya, Syria and elsewhere. Demand in China and elsewhere, coupled with the increasing tendency by oil producing countries to provide social benefits to citizens, financed by higher oil prices only serve to create more uncertainty. The Bahamas must continue with efforts to reduce its exposure to this systemic risk. The Government of The Bahamas has systematically reduced the tariff on all identifiable categories of items that are high energy consumers. Appliances, building materials, light bulbs, cars and renewable technologies, have all attracted lower taxes to encourage the Bahamian public to invest in energy reduction strategies. The Ministry of The Environment undertook several Energy Initiatives intended to be complimentary and supportive of the objective of increasing energy efficiency, reducing dependency on fossil fuels and implementing a renewable energy strategy. The Ministry promulgated a National Energy Policy to bring long term focus and strategy direction to The Bahamas Energy demand and supply situation. Strengthening the Energy Sector: Throughout this project, a financial and operational review of BEC was completed. Specifically, the project reviewed the expansion plan, the regulatory framework and BEC’s operational efficiency. The project has been used to guide a policy decision. Promoting Sustainable Energy: Through this project options were developed to advise on national energy efficiency, assess renewable energy technology, and implement a number of pilot energy projects. Through this project limited quantities of energy efficient light bulbs, solar water heating, solar photovoltaics, and compact fluorescents bulbs were purchased and installed in selected institution and homes. In addition to the Government led initiatives, a number of unsolicited offers for renewable energy and energy efficient have been submitted to the Ministry of The Environment. Several companies have approached the Ministry of discuss renewable energy solutions, including: solar; biomass; wind; ocean thermal conversion; and waste to energy. Energy Efficiency: Several companies have approached the Ministry and BEC with proposal to increase energy efficiency, including retrofitting generators. Solar Energy: A offer was made by the Ambassador of India to provide Solar Water Heaters and PV. • Solar Technologies (Concentrated Solar Power): Includes Photovoltaic, Parabolic Trough Collectors, Tower and Dish Collectors. • Thermal: Includes energy conversion technologies, such as Biomass. • Wind: Includes the use of wind turbines. This technology has been implemented to a significant degree on both utility and consumer scales. BEC recently signed an MOU with OTEC to develop Ocean Thermal energy sources in The Bahamas to generate electricity and create other industries. • The Government of The Bahamas and The Inter American Development Bank signed an agreement in October 1999 to help provide for environmentally sound waste management. It is expected that only one plant of between 10 – 20 MW is possible on New Providence. The Bahamas will adopt a National Energy Strategy based upon sustainable energy sources available in The Bahamas. The Strategy will be based on a policy to utilise a “cradle-to-grave” approach to waste; conserve natural resources, integrate natural systems in the supply of energy, and utilise the most efficient technology available. The Strategy will be driven by the goal of harnessing naturally available resources (wind, solar energy, energy from the sea), the need to become more energy efficient in the production and use of energy, and the need to reduce dependence on fossil fuels. 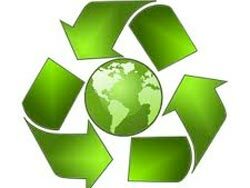 Complementary activities to achieving this goal include recycling and energy conservation in building design. Government buildings: The energy audit done through the IDB funded project provided a means to benchmark energy efficiency and set measurable goals to improve energy efficiency for all government buildings. Lighting from solar sources, better selection of materials to reduce energy use, and improvements in design to maximise the use of natural energy sources (light, wind, heat transfers) will be examined. Subdivisions: All new subdivisions will have prescribed methods to retain natural forests, minimise waste streams, improve waste collection systems and drainage. Schools: All schools will be equipped with solar lighting and solar energy for air conditioning. Schools in particular should not have the need for massive battery storage and with appropriate adaptation could be converted to solar power for daily lighting. An evening lighting will be necessary in some areas, schools will have selected backup power from traditional sources. Business: Businesses in The Bahamas especially hotels, will be incensed to invest in energy savings devices for heating, cooling, cooking and recycling. Bahamas Electricity Corporation: BEC will be mandated to produce a specified minimum quantity of its energy supply from renewable sources. The sources vary by island and will be supported by legislation and regulatory changes to accommodate smart metering, net metering, sales to BEC, and power sharing arrangements with industry. Households: Households will be given incentives to save energy by investing in rainwater tanks, solar heating and cooling and energy efficient appliances. Advertisements will be run on the radio, TV and in the newspaper to ensure the public is aware of the potential savings. Lastly, BEC has engaged in discussions with Marubeni Corporation regarding the purchase of the Abaco Plant. A confidentially agreement has been signed between BEC and Marubeni following a detailed site visit of the island facilities. BEC has received inquiries from other companies regarding selling generating capacity under “build, own and operate” arrangements.